As well as stocking wedding dresses from a variety of luxury designers, Bridal Rogue Gallery also offers beautiful bespoke wedding gowns from our in house designer Catriona Dowse. Using only the most luxurious British silks and French laces, Catriona designs dresses in a variety of styles and shapes to flatter different figures. Each gown is made to measure using inspiration from our current designs and each individual bride's ideas to create a wedding gown which has a personalised style. 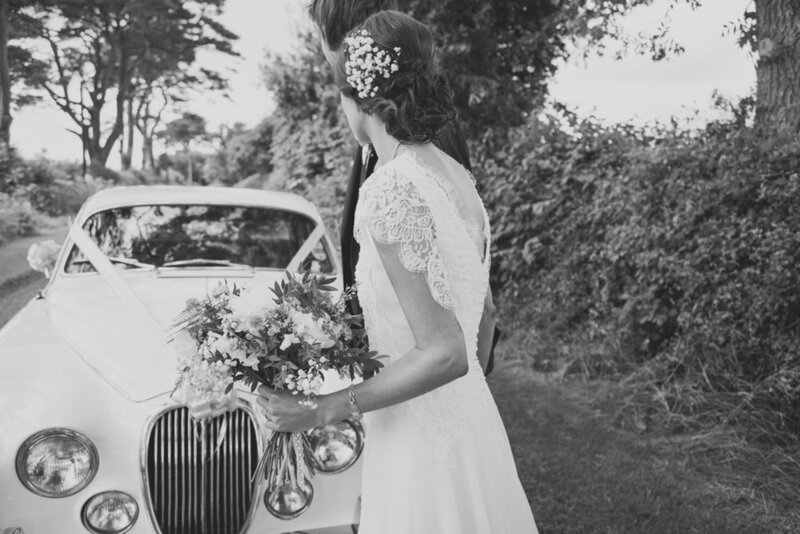 If you already know exactly what you want from your wedding dress but are having trouble finding it then a bespoke gown made from scratch is the perfect solution. 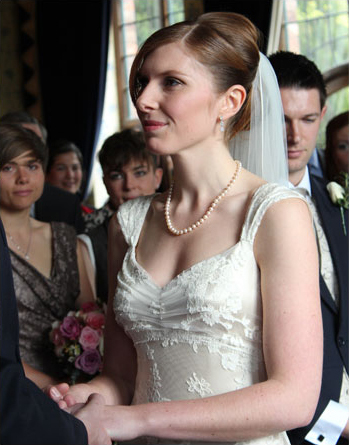 These photographs are of our Beautiful Brides on their wedding days wearing bespoke designs made by Catriona Dowse.